The new LG Cinema 3D TV range delivers a brighter, sharper, flicker-free image with an ultra- wide viewing angle,without the expensive and complicated glasses. LG's Cinema 3D is just the same as the 3D you see in cinemas, powered by similar technology.That is the LG Cinema 3D, uses polarisation, which passively filters the correct image to each eye. The glasses are simpler like those in cinemas, don't require batteries or charging, and costs less than £2 per pair.With the wide viewing angle, everyone can enjoy the full 3D effect from wherever they are in the room. It uses the world's first flicker-free 3D TV technology which make you see the images clearly in presence of light sources, provides you with brighter and clearer HD picture making you to see the regular 2D programmes up to five times the picture quality of the earlier one. 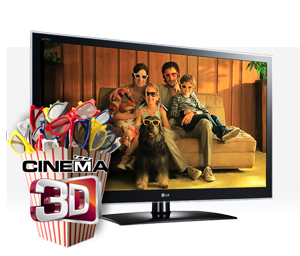 With LG Cinema 3D TV You will have cinematic experience with the latest films playing on the Sky 3D channel or those available on 3D Blu-ray. 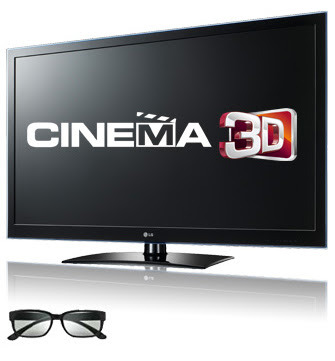 LG Cinema 3D TVs use the same side-by-side frame technology that Sky 3D uses to broadcast its content, which makes LG the best choice for watching 3D programming on a Sky HD box. 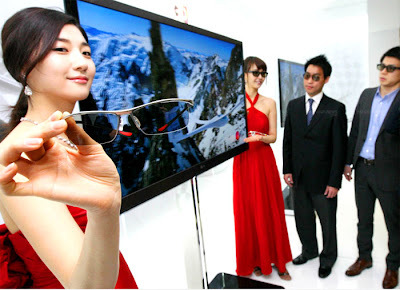 The 3D TV is also good at gaming. If you're already a Sky customer, you could get up to £400 cash back on a new LG 3D TV until 30 June by visiting sky.com/lgoffer. The LG Cinema 3D range includes the new LW450U, LW550T and LW650T models, with screen sizes from 32" to a truly cinematic 55". Prices start from £649 for the 32" LW450U. Tags:LG Cinema 3D TV, LG Cinema 3D TV features, LG Cinema 3D TV specifications, LG Cinema 3D TV review, LG Cinema 3D TV details, LG Cinema 3D TV availability, smart phone, LG Cinema 3D TV specs, LG Cinema 3D TV images, LG Cinema 3D TV pics, LG Cinema 3D TV pictures, costless 3d glasses, 3D TV using polarisation technology. Motorola Xoom Review, feature and specifications. ViewSonic ViewBook 730 features, price and specs.